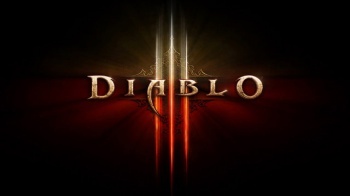 Diablo III hit retail one year ago, and to commemorate the occasion Blizzard Entertainment wants to convince you to play its flagship dungeon crawl even more than you do now. From now until May 21, those of you who log in to Battle.net to play Diablo III will notice two pretty significant boons awarded to your characters by Blizzard in celebration of the game's first birthday. Specifically, your characters will see a 25-percent increase in the rate at which they accrue experience points, as well as a 25-percent buff to their magic item finding capabilities. End result: More loot, quicker leveling, and a better time is had by all. Any caveats? Of course. Here's how Blizzard explains things: "The buff is only available while logged in to the game, but it will apply to all characters as well as stack with other similar bonuses - the +EXP bonus will stack multiplicatively and the Magic Find bonus will stack above the 300% cap!" Obviously, if you're one of the vocal minority who loudly despises Diablo III for whatever reason, then this short-term generosity likely doesn't do much for you. Sorry. If it helps, you've only got to deal with the game's birthday celebrations for another week or so, and then you can go back to ignoring and/or railing against the title. For more info on Blizzard's planned festivities, you can visit the firm's official Diablo III site, otherwise now would be a prime opportunity to murder a whole bunch of demons. Take the next week off. Your boss will understand.